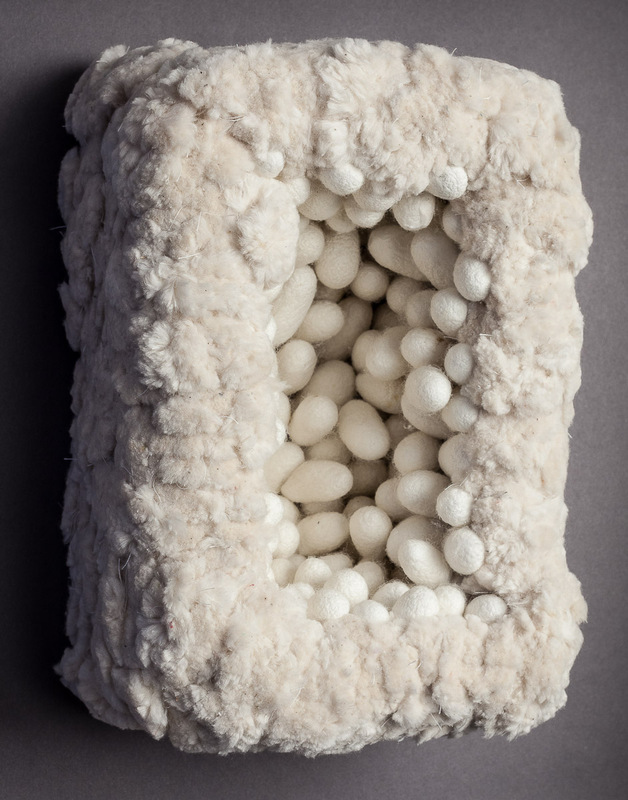 Carol Wisker’s background in painting and drawing continues to inform her love of texture, line, repetition and excess in sculpture and installation, combining dimensional forms with many materials including cotton tufting, silk cocoons and a variety of fibers. Carol's work has been shown throughout the region, just recently in Wrapped and Unwrapped: Sculpture and Installation at the 3rd Street Gallery in Philadelphia and in Fiber Next at the Delaware Art Museum in Wilmington Delaware. Wisker studied at the University of the Arts, (MA, 1984) and at the Philadelphia Museum of Art during her employment there as an Educator for 15 years.